Answered by Robert Huck, M.D., medical director, Providence Medical Group – Pulmonary and Sleep Medicine, South Puget Sound, Wash. Your spouse could be right. Loud snoring that’s irregular or broken by interruptions in breathing, loud snorts or sudden gasps could be a sign of obstructive sleep apnea. It’s often the sleepless partner who notices it and I agree with your partner on asking your doctor about it. If you do have sleep apnea, it could be affecting your health much more seriously than you realize. The breathing mask known as CPAP, which stands for continuous positive airway pressure, is the gold standard of therapy. Don’t let your worries about it keep you from getting an accurate diagnosis and exploring the options; there are ways we can help you adapt to CPAP if you decide to try it, and other options if it doesn’t work out for you. Treating sleep apnea could be downright life changing for you – and could help your spouse get some sleep, too. When you fall asleep, all of your muscles relax, including the muscles in your air passage. If your airway is small or saggy – which can happen with age, obesity or structural issues – it gradually flops shut, preventing you from inhaling. As your airway collapses, your snoring becomes louder and louder until there’s a pause in breathing. At that point, your brain notices and nudges you back toward consciousness to reopen your airway, and you resume breathing, often with a loud snort or gasp. Your brain then gives you the “all clear” to go back to sleep, and the whole process repeats itself – not exactly a prescription for a good night’s sleep. You might not notice all the waking and gasping yourself. But if you’ve noticed that you don’t feel refreshed when you wake up, or that you often feel sleepy, sluggish, foggy-headed, cranky or otherwise “off” during the day, sleep apnea could be the cause. It also can cause serious health problems that you might not notice until they’ve become very dangerous, including high blood pressure, heart problems and stroke. People with untreated sleep apnea are four times more likely to have a stroke than the general population. They also have higher risks of depression and diabetes, and are involved in more traffic and industrial accidents. If your doctor’s evaluation confirms sleep apnea, getting treatment not only will help you sleep better at night and feel more energetic during the day, but also, it literally could save your life. If you’re overweight, try to lose weight. Excess weight is a major factor in sleep apnea. Change sleeping positions. Sleeping on your back can increase snoring. Try switching to a side position or elevating the head of the bed. For mild sleep apnea, these measures may improve the problem. For moderate to severe sleep apnea, however, treatment is usually recommended. BiPAP: For people who can’t tolerate CPAP’s continuous air pressure, BiPAP, or bi-level positive airway pressure, is a more adjustable machine, applying more air pressure during inhaling and less during exhaling. It’s more expensive, so insurers usually require people to try CPAP first. Oral appliances: Similar to mouth guards, these devices hold the jaw forward to help keep the air passage open. They can be effective for apnea that is mild to moderate, but not for severe apnea. Maxillary mandibular advancement surgery: For severe sleep apnea in people who absolutely can’t tolerate CPAP or BiPAP, this surgical procedure moves the jaw forward to expand the airway. Other types of surgery are possible, but this has been found to be the most effective. Hypoglossal nerve stimulators: This recently developed treatment involves surgically implanting a device, similar to a pacemaker, to stimulate the nerves that keep the air passage open during sleep. CPAP should be tried before considering more invasive procedures. Thousands of my patients use it successfully. At their follow-up appointments, they tell me things like, “This has given me my life back,” and, “I haven’t felt this good in years.” They’re less tired, have more energy, and feel more up to exercising, which helps many lose the weight that contributed to their apnea. Those who stick with it tell me that they can’t sleep without it now. In general, they get more out of life. Think you might have sleep apnea? Talk to your doctor. If you are diagnosed with sleep apnea, consider getting treatment. 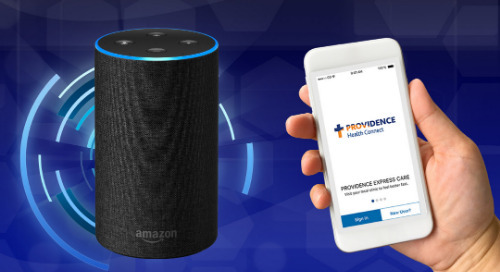 If you don’t have a doctor, you can find a Providence provider here.